The need for prevention starts from childhood. In this context, an individualized preventative dental program is carried out, by educating children and informing parents on methods of oral dental health. 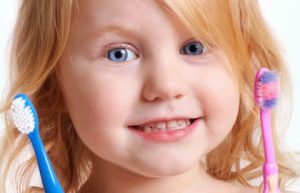 Pedodontics is specialized dental care for children and includes a number of preventive (oral hygiene, plaque removal, fluoridation, dental sealant holes, slots-sealants) and remedial actions (fillings, pulpotomy, fitting stainless crowns etc).